Inquisitive and involved are two words commonly used to describe Charles (Charlie) Revere. He’s one for learning, asking questions and taking action once he’s researched something. Close friends of Revere admit he has an inquisitive, almost nosy nature about him, but they say it’s an admirable quality. Revere, 76, agrees he’s nosy, but he says it’s always out of his eagerness to know what’s going on. Revere has never been one to sit back and watch life happen. 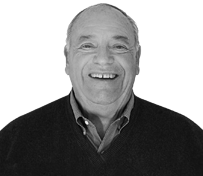 In the 50-plus years he has served the propane industry, he has been heavily involved with the Virginia Propane Gas Association (VPGA), the National Propane Gas Association (NPGA) and the Propane Education & Research Council (PERC). Colleagues add that not only was Revere involved with these associations, but he was also an opinion leader. Many describe Revere as a go-to guy for help in the propane industry. Keith McMahan, chairman of Tri-Gas & Oil Co. in Federalsburg, Md., says he likes that Revere is rounded in his knowledge and perspective on the industry. Revere’s willingness to question and learn, as well as his openness to sharing ideas and opinions, landed him in multiple leadership positions in the propane industry. He played a role in negotiating rulemaking with the Department of Transportation (DOT) on excess flow protection regulations in 1997. He also changed dynamics for NPGA when he served as its president in 1999, pushing for marketer participation in the association and advancing the relationship between NPGA and PERC. Charlie’s father, H.L. Revere, started Middlesex Bottled Gas in Hartfield, Va., almost on accident in 1942. Charlie says his father bought a gas range for his mother one year and had to learn to hook it up at home. With that home improvement success at home, Charlie says H.L. decided to start a family business of bringing propane to people in the East Virginia community. Charlie explains that Middlesex Bottled Gas, based in Middlesex County, Va., started with only three customers. He says there was demand for gas ranges the first few years in business, though, so the business sustained itself. As an only child, Charlie says his father had him as his “helper,” painting tanks and delivering 100-pound cylinders to customers when he was old enough. Even though Charlie says it was hard to forgive his dad for having him work for the family business on weekends as a teenager, he learned some valuable lessons from his dad while out in the field with him. While Charlie got his first part-time jobs in propane with his father, he wasn’t always certain that’s what he wanted to do with his life. Charlie attended the University of Richmond, studying business administration in the early 1950s. He also took part in the university’s ROTC and the school’s baseball team. Carlton Revere, Charlie’s son, says that a couple of Major League Baseball teams scouted his father while he played in college; however, an injury hurt his chances of playing professionally. Charlie didn’t seriously consider returning to Middlesex Bottled Gas or the propane industry until he received a knock on his college dorm room one evening during his junior year. After mulling things over, Charlie agreed to come home to the family business after college. Because Charlie participated in the Army ROTC program in college, he spent his first two years out of college in the Army on active duty. Once that was completed, he returned home and joined his father’s business. Charlie says part of his military obligation was an additional four-year part-time or inactive duty, which he fulfilled by commanding a combat engineer company near Hartfield. When he wasn’t busy with military, Charlie says he worked part-time at Middlesex Bottled Gas. For the first few years in the industry, Charlie says he was just “another person on payroll” at Middlesex Bottled Gas. But with time, H.L. continued to give his son more responsibilities. Charlie says his first big step was when he helped the company acquire a competitor in a neighboring county in the late 1970s. And that’s when Charlie says he decided to change the company name to Revere Gas. “We didn’t want to geographically limit ourselves to Middlesex County,” he says. Carlton says the family business boomed in the mid-1960s when home heating took off. He says the company grew from hundreds to thousands of customers over the decades. Carlton attributes the company’s growth in part to his dad’s leadership. He says his dad promoted taking risks and improving technology with the times. Most important, though, was his father’s mantra to take care of the customers first. Today, Revere Gas services 21,000 customers in 25 counties in Virginia. It has eight locations with about 80 employees. Charlie played a vital role in building Revere Gas to what it is today, but involvement in state and national propane associations is what gave him more visibility in the propane industry. Carlton says his father’s heavy involvement in the Virginia Propane Gas Association during his early years in the industry likely led him to leadership positions with NPGA and PERC from the 1990s to the early 2000s. Doug Auxier, owner of Auxier Gas, served with Charlie on NPGA in the 1990s. He also believes Charlie’s ability to share intelligent opinions consistently helped Charlie to achieve various leadership roles in NPGA, including chairman of the governmental affairs committee and treasurer, vice chairman, president-elect and president of the NPGA board. When he served as NPGA board president from 1999 to 2000, Charlie’s big push was marketer participation. Charlie did a head count of NPGA members when he was president, and he says less than 50 percent of the people involved in decision making were propane marketers. Charlie definitely wasn’t the first NPGA president to try to tackle the problem of getting more propane marketers involved with the association. Auxier says Charlie, however, had some success in his campaign. One of Charlie’s successes in advancing marketer participation nationally was convincing Paraco Gas to get involved with NPGA. At the time, Auxier says Paraco was only involved in its state association. Auxier says Charlie convinced Paraco of its need to be involved in the propane industry on a national level. Auxier adds that Charlie was successful in gaining a handful of other marketers, both large and small, by the end of his stint as NPGA president. Not everything went so smoothly for Charlie in the late ’90s, though. Between 1997 and 2002, Charlie was one of the key people with NPGA who traveled about every month to negotiate with DOT about excess flow protection regulations. With HM 225, DOT wanted to require all propane retailers to have two drivers on each of their trucks at all times. In the end, NPGA was successful in eliminating the regulation, but Charlie admits it was a long, grueling process. Charlie also worked through some of the conflicts between NPGA and PERC during PERC’s early years. McMahan says the relationship between the two organizations was not always “productive.” Charlie got involved in PERC to make sure NPGA and PERC works well together and that one didn’t alienate the other. When Charlie’s not busy with propane industry tasks, he’s busy doing something. Outside the propane industry, Charlie spends his time in different community service organizations. He is the board chairman on the Riverside Tappahannock Hospital, a board member for the Eastern Virginia Bankshares, a board member for the Northern Neck Free Health Clinic and a lifetime member of the Lion’s Club. That’s to name a few things. Carlton describes his father as a lifelong learner who stays involved to expand his perspective. Charlie says one thing he’s learned from both community service and his faith is that it’s much better to give than to take. Colleagues say he’s given back to the propane industry with his knowledge. Auxier describes Charlie as his “big brother” in the propane industry because he often gave him useful advice over the decades they worked together at NPGA and PERC. “It’s Charlie’s approach to problem solving I’ve learned the most from him,” Auxier says. Auxier recalls a time when he planned to bring an equipment problem before NPGA, but Charlie redirected him to take the problem to the equipment supplier first. And it worked, he says. “[Charlie] had enough sense to redirect my irritation to the source, and we didn’t have to get into the name-calling problem,” Auxier adds. Even though Charlie takes part in various associations inside and outside of propane, McMahan concludes Charlie is the same person at the end of the day in all of his activities.